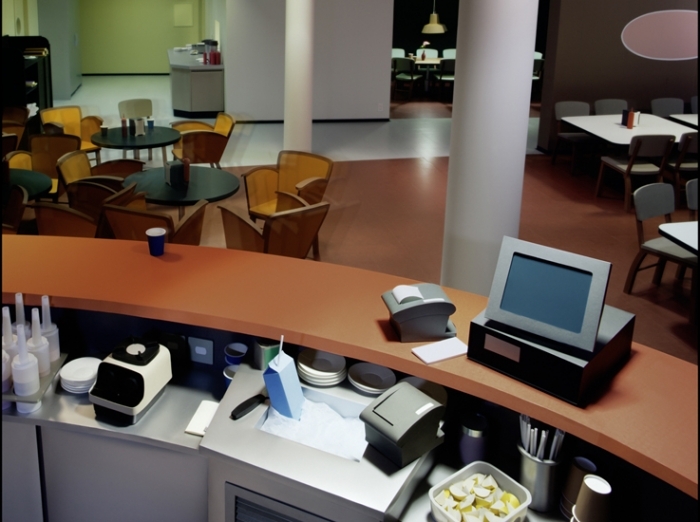 Commonplace materials have the capacity to render some of the most complex, thought provoking results. Case in point, paper – a simple, versatile medium used for the purpose of writing, printing, packaging, decorating, and cleaning, all while satisfying a multitude of industrial, artistic and construction means. 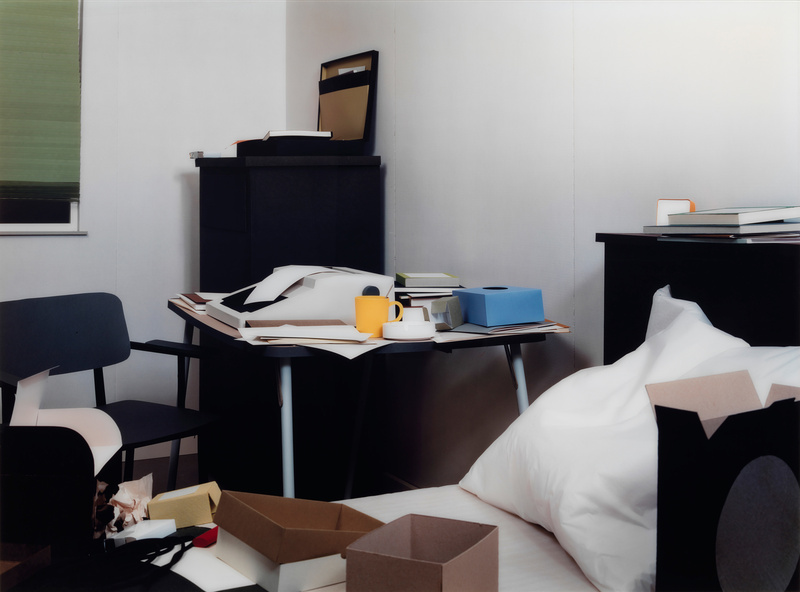 The historic connection between paper and the visual arts is deep-rooted in the work of German sculptor and photographer, Thomas Demand. Demand constructs entire three-dimensional, life-size models out of paper and cardboard, which then serve as the subjects of his photographs. 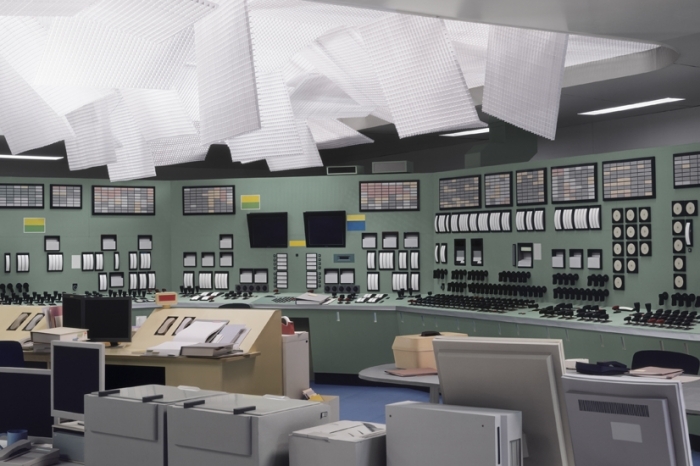 Paper models have been the focal point of Demand’s work since he rose to prominence in the early 1990s, while the focus of each handcrafted set often makes illusion to his personal life or contains political and social undertones. 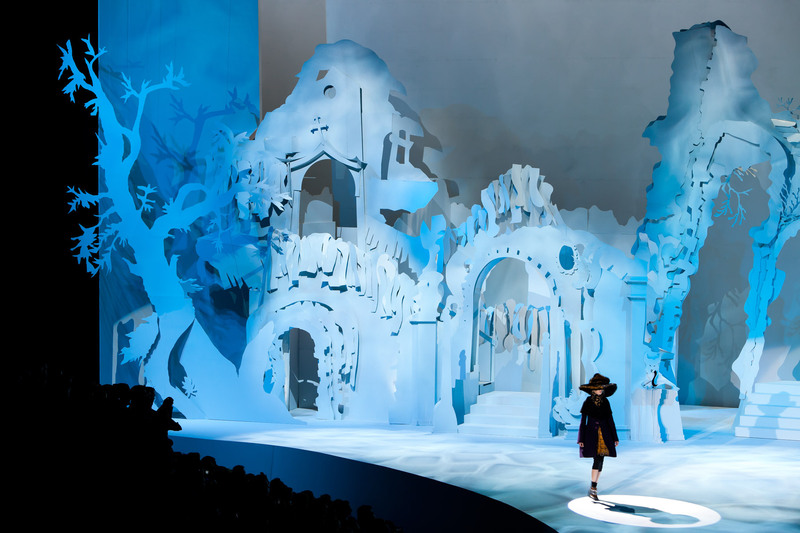 No paper set, however, compares to that which artist Rachel Feinstein dreamt up for Marc Jacobs’s Fall/Winter 2012 runway show. 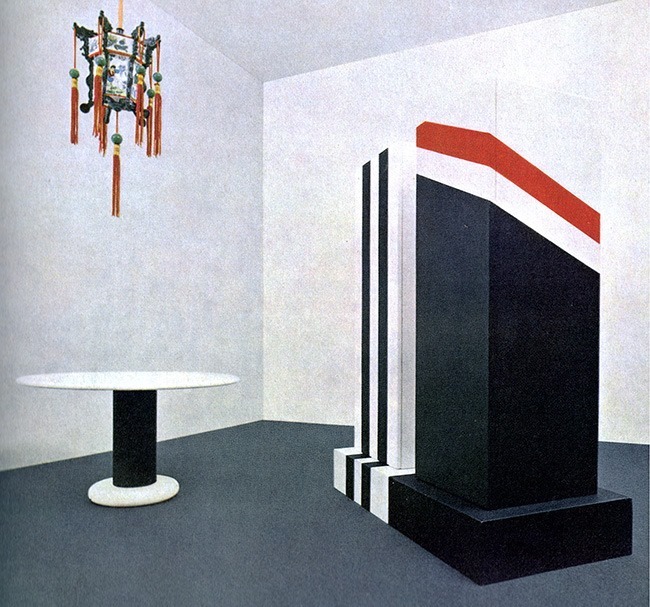 Feinstein, widely known for her made-to-look-like-paper sculptures which are oftentimes composed of metal, produced a gigantic white, theatrical paper set for Jacobs’ show in less than two weeks. The eerie twists and turns of each haunted staircase and decomposing doorframe were illuminated with blue light and spontaneous shadows, producing a tremendous depth of space to compliment the layers of heavy tweed, brocade overcoats and gigantic fur hats worn by each model throughout the collection. 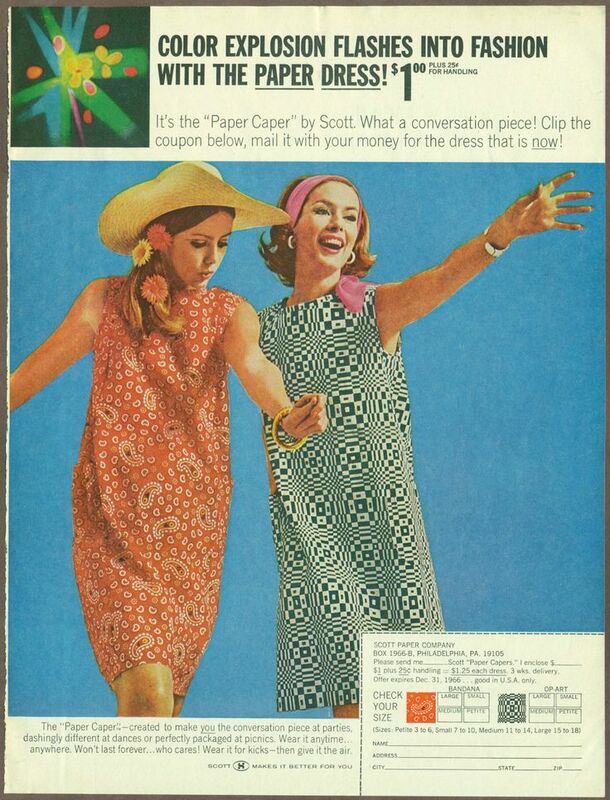 One of the earliest examples of paper appearing in fashion took place in 1966 when Scott Paper Company introduced the first mass-market paper garment. 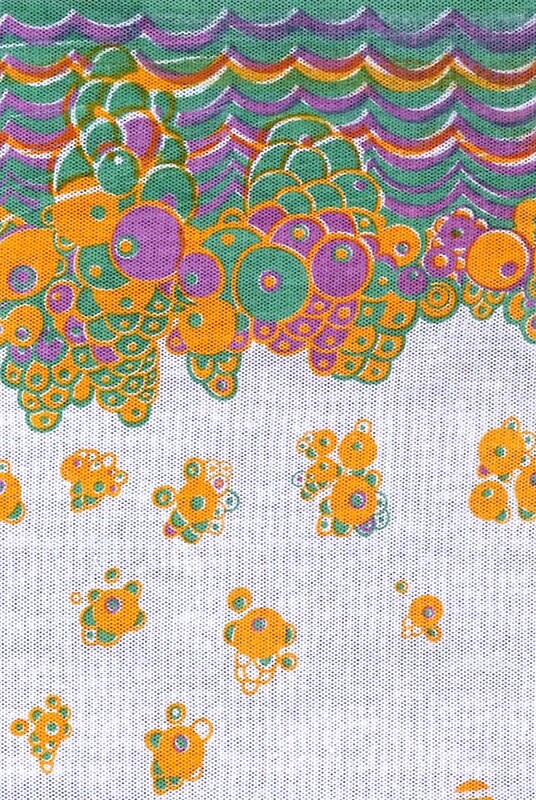 The manufacturing company produced a line of colorful shift dresses composed of paisley and Op Art prints, and began marketing the line as a way for women’s clothing to match their party decorations. 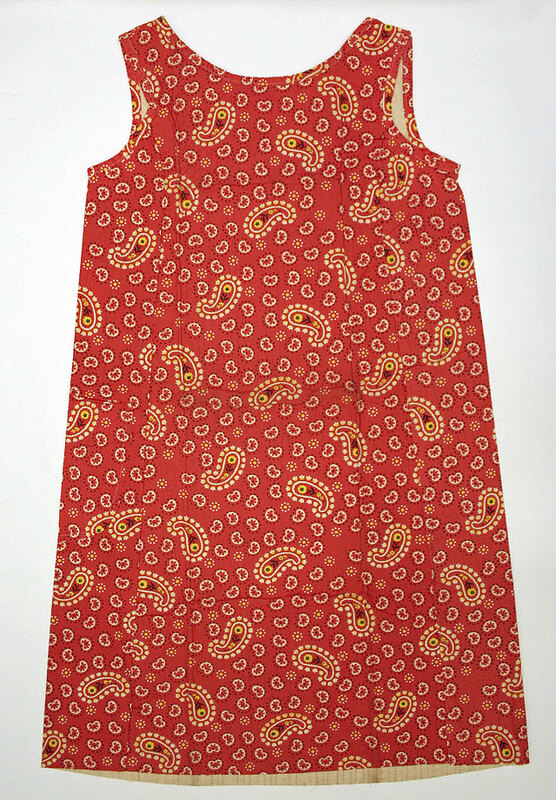 In a fashion era focused on craftsmanship and longevity, these affordable, disposable dresses offered wearers the ability to regularly update their look. 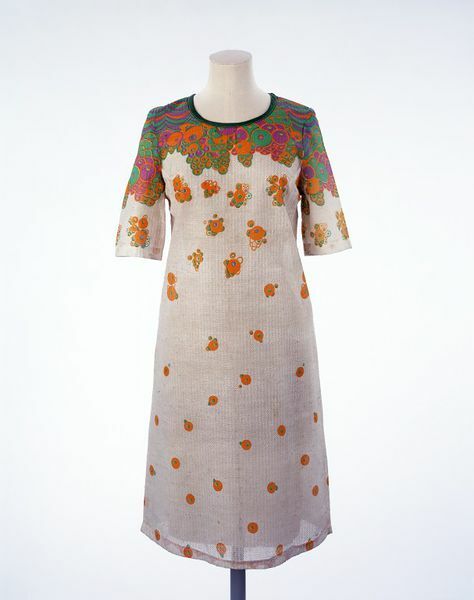 As paper garments became an overnight sensation, British fashion designer Ossie Clark introduced a high-fashion range of throwaway dresses, featuring a floral design by Celia Birtwell printed onto imitation paper, formed using bonded textile fibers. Although the robust ‘paper dress’ trend of the 1960s proved to be nothing more than a short-lived fad, the versatile construction material has reappeared on high fashion runways of international designers ever since. 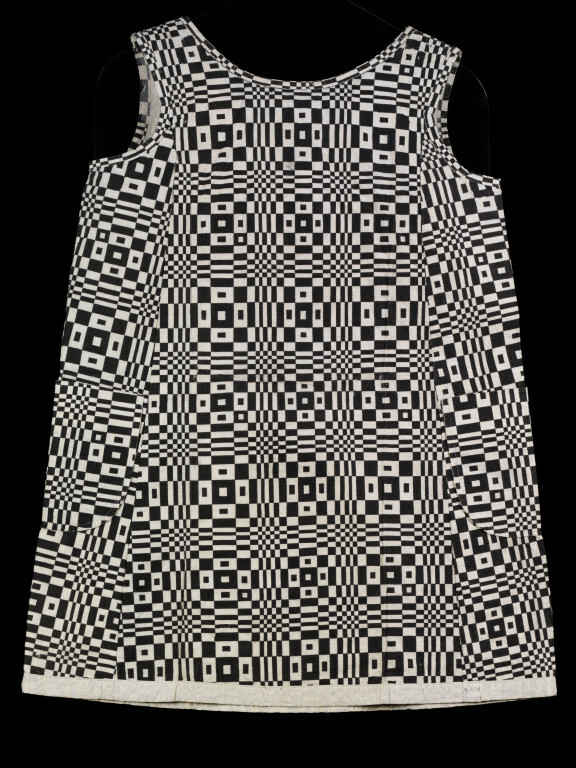 In 1994, new-to-the-scene British/Turkish fashion designer Hussein Chalayan showed a paper Airmail Jacket as part of his groundbreaking ‘Cartesia’ collection, followed by an Airmail dress made of Tyvek material in 1999, which carefully folded and unfolded into an envelope-shaped parcel, intended to be written on and sent in the mail; even incorporating the blue and red markings of traditional postage envelopes. If Chalayan is known for pushing the boundaries of fabric and textile innovation, Karl Lagerfeld strives to constantly reinvent the meaning of couture craftsmanship through his ornate collections at the house of Chanel. Namely, for spring/summer 2009 couture, Lagerfeld showed an exclusively black and white collection, presented amidst a sea of gigantic paper flowers, topping each model’s head with intricately crafted paper crowns, denoting the German designer’s obsession with detail and elevated craftsmanship. One of the most compelling examples of high fashion paper garments has been John Galliano’s frequent ‘illusion’ to the everyday material throughout a number of his collections, dating back to one of his earliest shows for Christian Dior in the year 2000, when the British designer first introduced garments printed with his famous newspaper motif. That same season for Galliano’s namesake line, he presented a selection of life-size paper-doll dresses, an idea that has since been reinterpreted, most recently by Jeremy Scott at Moschino for spring/summer 2017. For spring/summer 2007 Dior couture, Galliano produced one of the most breathtakingly beautiful collections throughout his fifteen-year tenure at the Parisian fashion house; the show paid homage to the Far East, with forty-five colorful looks inspired by Japanese culture. There were origami folds present throughout, though none more exquisite in its figurative use of fabric as paper, as the finale wedding dress, with paper crane-like wings climbing up Shalom Harlow’s slender body. 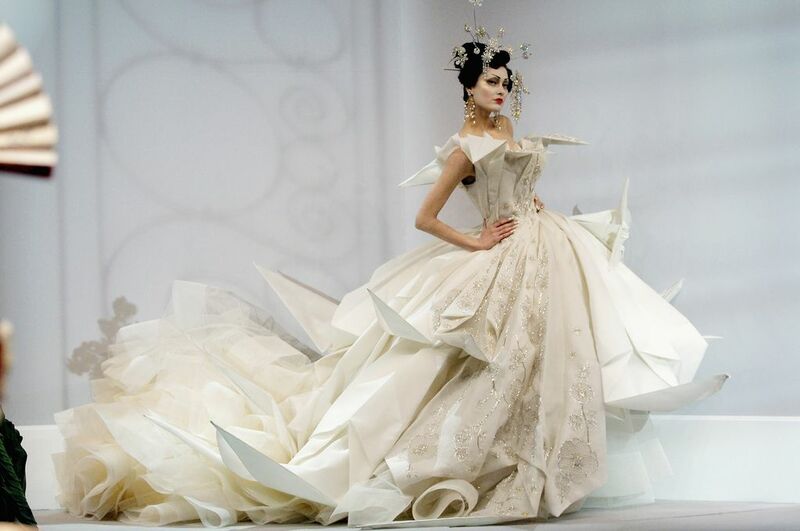 Over ten years later and now creative director of Maison Margiela, Galliano is still exploring paper-like garments. For Maison Margiela’s Fall/Winter 2017 artisanal collection, the designer offered a series of experimental, deconstructed raincoats, two of which were rendered in Kraft Brown-colored fabric that was tucked, pleated and frayed to emulate the interior lining of a cardboard box. 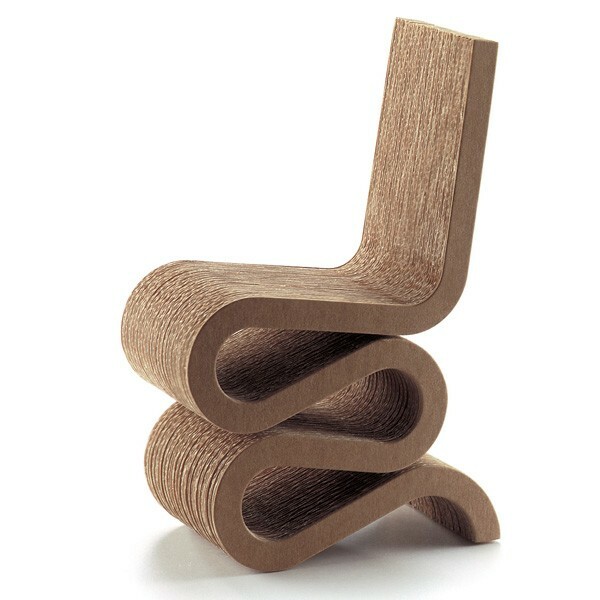 The distinct color and composition of cardboard is a favorite of architect Frank Gehry who, back in the 1970s, chose the stiff, paper-based product as the featured material in his collection of chairs for Swiss furniture company Vitra. The inspiration behind the striking design choice started with a pile of cardboard Gehry encountered on the street. 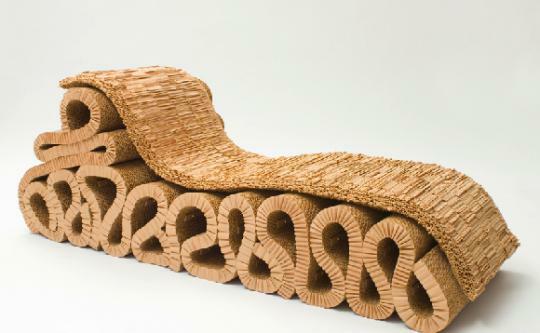 Rather than using a single sheet, the architect glued multiple pieces of the durable material together and cut and bent them into shape, realizing new forms and levels of stability in carboard that were previously unachievable. 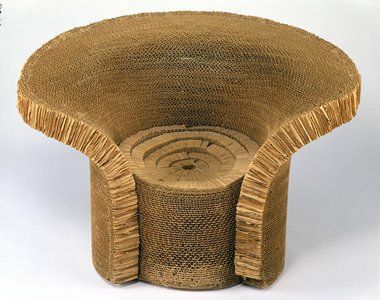 Gehry released his ‘Easy Edges’ collection in 1972 and reissued four central pieces in 1986, signifying a momentous future for cardboard furniture. 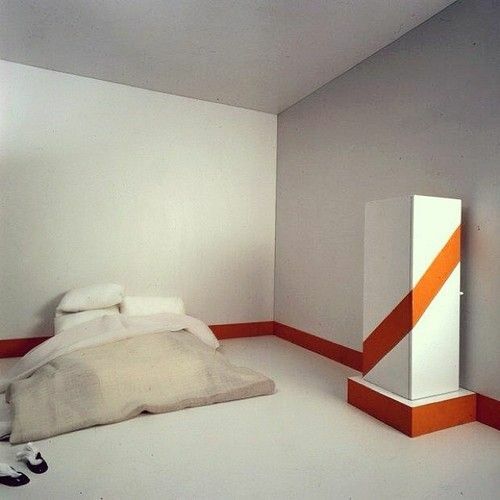 In the 1960s, Italian architect Ettore Sottsass began approaching the design of traditional storage units as portable, as opposed to immotile, sculptural portals to house one’s clothing. 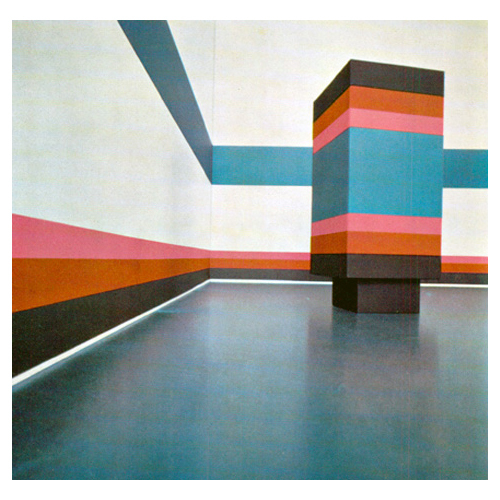 Sottsass’s colorful, pattern-filled ‘Superboxes’ developed as a hybrid of ideas he gathered during his travels around the world. 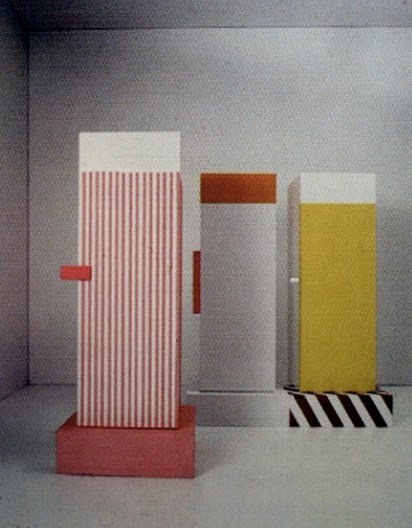 Rather than producing life-size prototypes of these characteristically Pop designs, Sottsass created a series of ‘Superbox’ maquettes and photographed paper models as if they were life size. 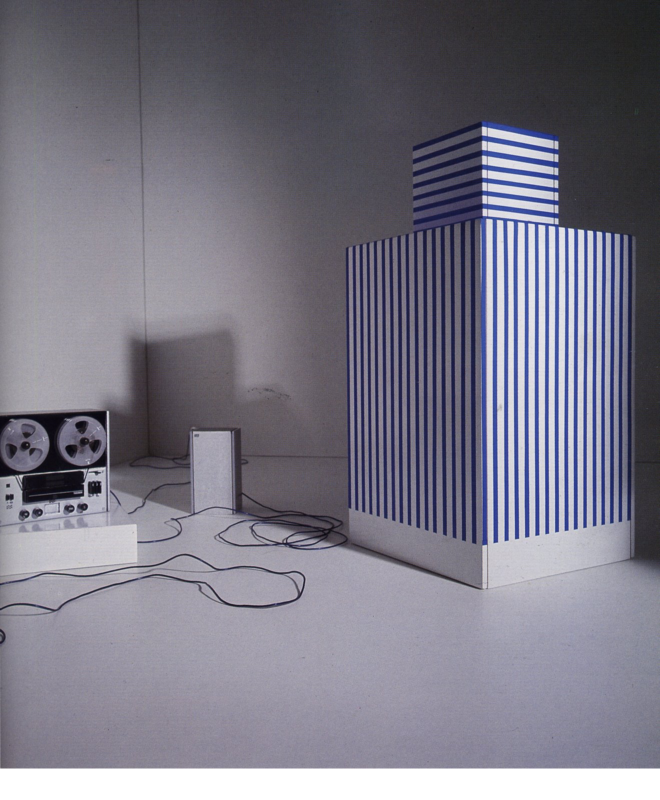 Eventually, a few of Sottsass’ designs went into production, while a number of Superboxes still only exist as paper.